Like all its single-cylinder siblings, the Royal Enfield Interceptor 650 is a great canvas for anybody who wishes to paint it in creative colours. It was about time then that we stumbled across an example which went in stock and came out transformed. After dishing out numerous jaw-dropping builds based on REs, Bulleteer Customs sprinkled their magic on what they call the ‘Hooligan 650’. 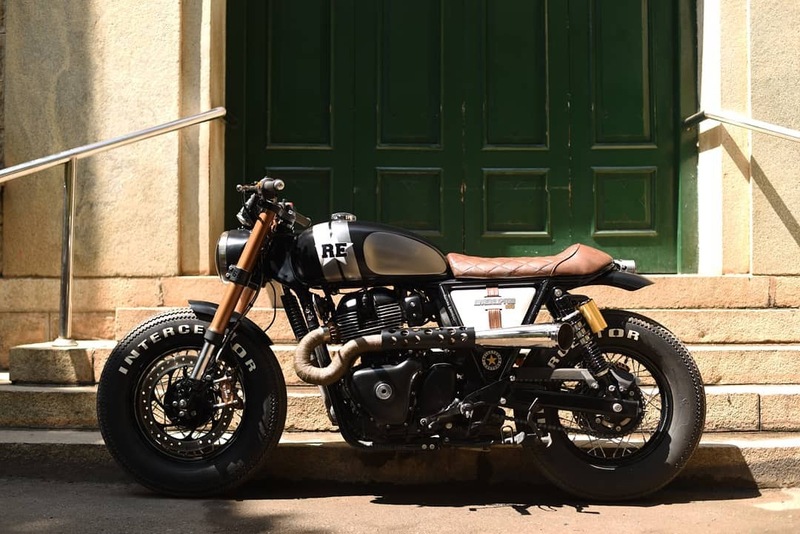 A flat-track styled build which runs on vintage-style rubber, thanks to Royal Enfield’s new engine, this modified example has the ‘Go’ to match the ‘Show’. But the cosmetic changes add to the functionality too, where the fat, gold-finished front USD forks hold together some massive-sized rubber, a stubby little fender and a front disc brake which replaces the stock unit. The all-LED but still old-school headlight looks the part and so does the all-digital but still yesteryear instrument console. By the way, the display is housed within a Royal Enfield 535’s piston! Interestingly, the handlebar has been placed ahead of the fork stems and dips under the digital display. Then there’s the paint job, which splits the tank in a contrasting shade of white and black. The side panels have been painted in different shades too. If you noticed, the shiny chrome of the twin-cylinder motor has been blacked out on one side and you’ve got to love how the scrambler-style custom pipes curve out from the engine’s head. The quilted saddle looks the part and so does the short rear fender which is capped with a tiny tail light which is actually a machined piston which belonged to an RD350. Do not miss the uniquely-styled knuckle duster on the front brake lever and the ‘Trouble Maker’ sticker on the tank. Like what you see? 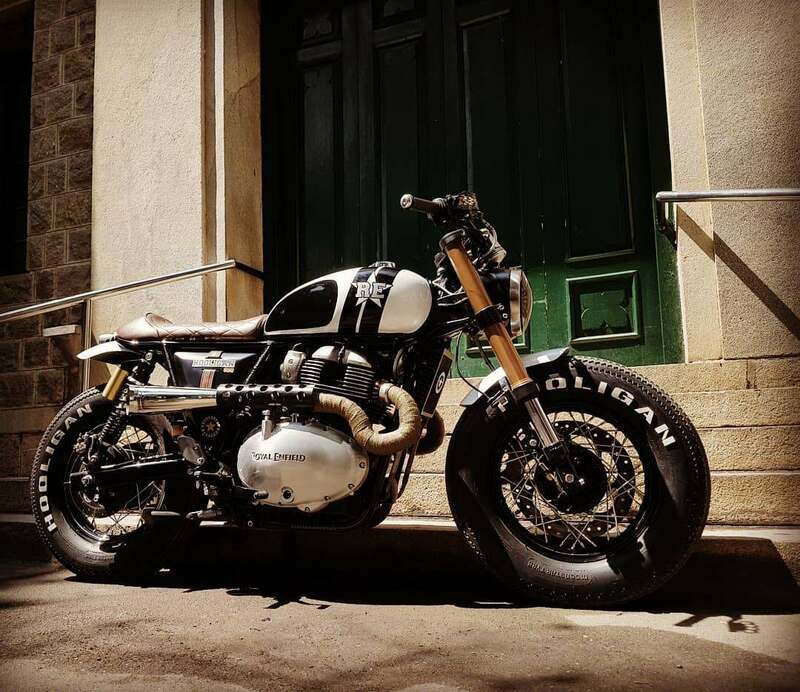 You may contact Bulleteer customs through their Facebook and Instagram channels for more information about this build or if you’d like one to be built for yourself. We’ll get you acquainted with more such work featuring the RE twins and other motorcycles too. Stay tuned!